ADI engineers work hard to both find your leak in the most efficient way possible whilst also minimizing the amount of potential disruption to your home or business life. The technology our teams use is so advanced we can pinpoint any leak in a quiet and efficient manner no matter where it is. Our operational efficiency means we can offer you far more competitive pricing that you might have imagined. 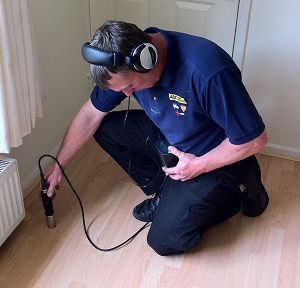 We can also provide our leak detection service to customers living anywhere in the United Kingdom too. Prevent any future leak headaches by calling ADI now on 08007313843 – we’re looking forward to hearing from you.